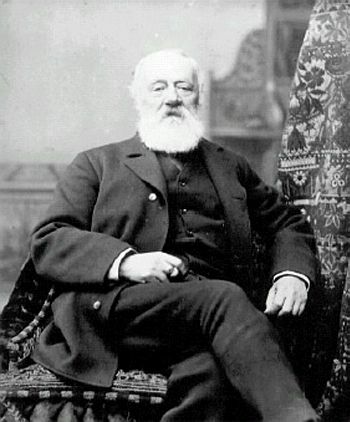 Antonio Meucci was a scientist and an inventor. He was born in Italy, in the city of Florence on April 13, 1808. He spent quite a stretch of his life in the United States and this earned him double citizenship of both Italy and the U.S. He attended Florence academy of fine art where he studied chemical and mechanical engineering. His first working place was the Teatro Della Pergola in Florence, Italy; where he worked as a technician. His work was mainly based in the field of electromagnetism. He worked mainly on the development of communication devices. He was a seasoned inventor and he was even a force to be reckoned with in the invention world when he was alive. One of his main works is the innovative experiments that he carried out on the telephone. He also delved into some measure of business and that makes it right to call him a business man. While at the Teatro Della Pergola, he constructed a kind of acoustic telephone. The purpose of this device was to communicate between the control room and the stage. You may not believe it; but the invention is still working till today. It was constructed on the same principle as the pipe-telephone that was in use on ships. He was imprisoned for being part of the Italian unification movement of 1833-1834. He served his jail term along side the popular Francesco Domenico Guerrazzi. He finally left Italy in 1835 and he vowed never to return there. He reached Cuba, which was then a Spanish province. He got a job at a theatre in Havana. The name of the theatre was great Tacon Theatre. This was known as the greatest theatre in “Americas” during that period. He carried out several construction and innovations while he was in Havana. One of the acitivies he was involved in while being in Havana was the reconstruction of the Gran Teatro, after a hurricane destroyed it. He also constructed a water purification system there. Meucci started working on Franz Anton Mesmer’s therapy system on patients suffering from rheumatism; after being asked by a friend’s doctors. This research culminated in 1849, with Meucci developing a popular method that used electric shock to treat several illnesses. He also developed what was called “telegrapho parlente”, which was a device that was able to interpret inaudible human voice. Using the telegrapho parlente, one could hear the inaudible human voices. He migrated to the United States in 1850, where he set up a factory that majored in the manufacturing of tallow candles. This was actually the first of its kind in the whole of America. His very first invention after migrating to the United States was in 1857 when he developed an apparatus used for voice communication. He started his work on the telephone while residing at New York (at his Staten Island home). He was able to connect the basement of his home to the first floor through a voice communication device. Between 1856 and 1870, he developed more than 30 types of telephone prototpyes – most of them working. All of them were electroagnetic telephones, rather than accoustic ones. And this crucial difference could be the reason why Alexander Graham Bell is known as the inventor of telephone, even though he made his model with Watson much later. During the later stages of his life, Meucci had to declare bankruptcy. He passed away due to old-age related illness at the age of 81.